Trying on dresses with your best friends is one of the most memorable moments of wedding planning. Try-on parties are becoming more popular as brides are skipping the inconvenience of the boutique for a more relaxed and intimate setting. These at-home fittings give you more time to make decisions, help accommodate busy schedules and allow you customize the special occasion! Azazie makes it easy to coordinate a try-on party with $10 try-on samples (including shipping! ), $2 swatches and an assortment of styles and colors. We’re taking convenience one step further with a list of try-on party tips to help you host the day of your dreams. So grab your girl gang and enjoy the experience! Set the vibe of your try-on party with a playlist of empowering, high-energy songs for your leading ladies. Need some inspiration? Get on the right track with our hand-picked Ultimate Pre-Wedding Playlist. Every party needs great food and drinks. Savor the moment with sweet treats like macaroons, cupcakes and even pink popcorn. Serve a signature cocktail – like this Rose Raspberry Sorbet Mimosa – for an Insta-worthy experience. And don’t forget the mocktails for the moms-to-be (we offer maternity samples too)! Make sure to host the party in a space that offers plenty of different lighting, including indoor and outdoor spaces. This will allow you to see how your dresses look in a variety of settings. 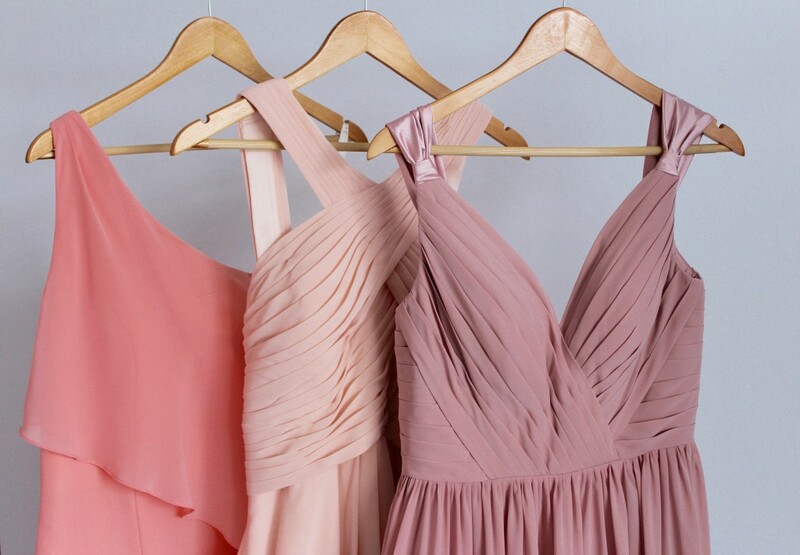 Have bridesmaids who live across the country? An at-home try-on makes it easy for them to share the experience. Make sure they order their sample around the same time, and Facetime them in once the party starts. Use your Azazie tape measurer to ensure the perfect fit (be sure to review our how-to guide for taking your measurements correctly). Make sure your bridal party remembers to bring the shoes they’re wearing on your big day for accurate length measurements. Once your girls have chosen “the one,” check out our selection of bridal accessories to complete the look! Ready to start the party? Be sure to tag your photos with #Azazie to be featured on our page! For more inspiration, follow us on Facebook, Instagram and Pinterest. « Try Before You Buy: Sample Sale Coming Soon!